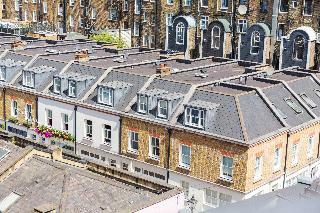 This charming apartment complex is situated at Lancaster Gate, enjoying ease of access to a host of attractions in the area. Guests will find themselves within easy access of the station for the central line, allowing them to explore other areas of the city with ease. 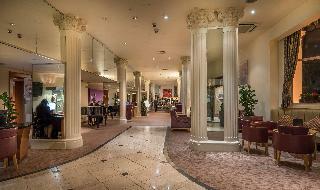 Guests can explore the delightful Marble Arch, Bond Street and Oxford Circus. This wonderful complex offers guests the ideal setting from which to explore the area. This outstanding complex occupies a historical, Grade II listed building, and welcomes guests into a world of style and charm. The apartments are exquisitely appointed, featuring individual designs for a unique experience. It is a Historic Grade 2 Listed building with lots of period features- steeped in History. Ozzy Osboune has stayed here .All of the Rooms have been refurbished in an ongoing cycle of renovation and refurbishment to 3 star standard. Some new rooms boast walk in showers & Rainwater showers. It is a very nice historic conservation property with lots of history. We boast parking in front of our Hotel too on a first come first served basis at nominal charges of only £30 per da. Theatre Land is 12 minutes away. Heathrow is only 15 minutes away by the Heathrow Express. Our staff bend over backwards to help you. They are very helpful and polite and will assist you to make taxi, tours, theatres reservations and restaurant bookings. Hyde Park's 630 acres is a 2 minute walk across from our Hotel. Oxford street is a stones throw away. Harrods and Theatre Land are only 12 minutes away. Staff are brilliant. Nothing is too much trouble. Special mention to Ras....excellent customer service. Lovely breakfast. Very clean.